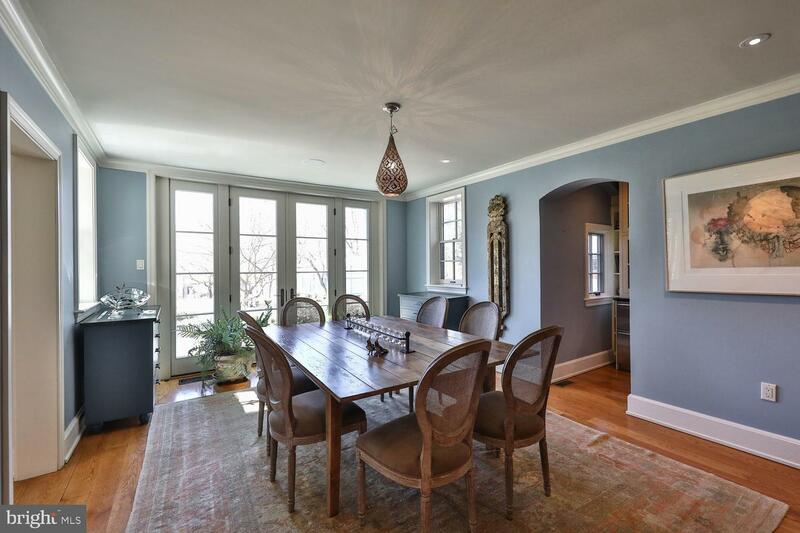 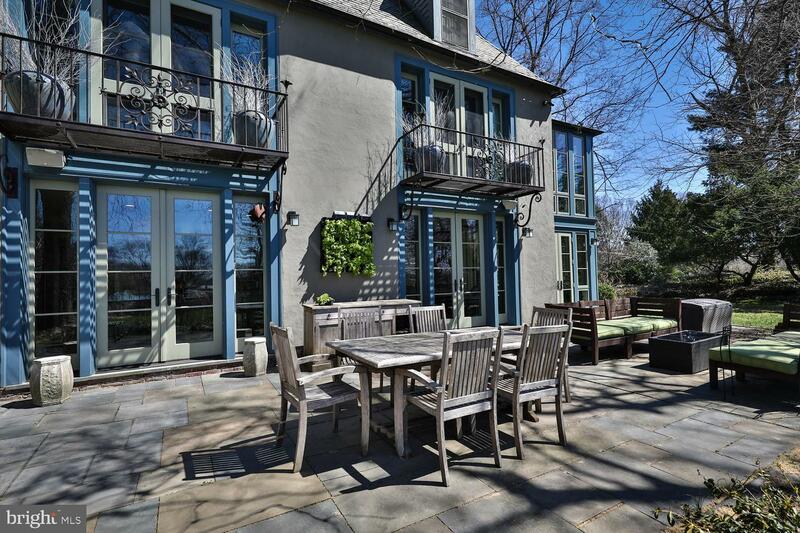 Glorious redesign and transformation of distinctive French-style home in beautiful West Mount Airy section of Philadelphia. 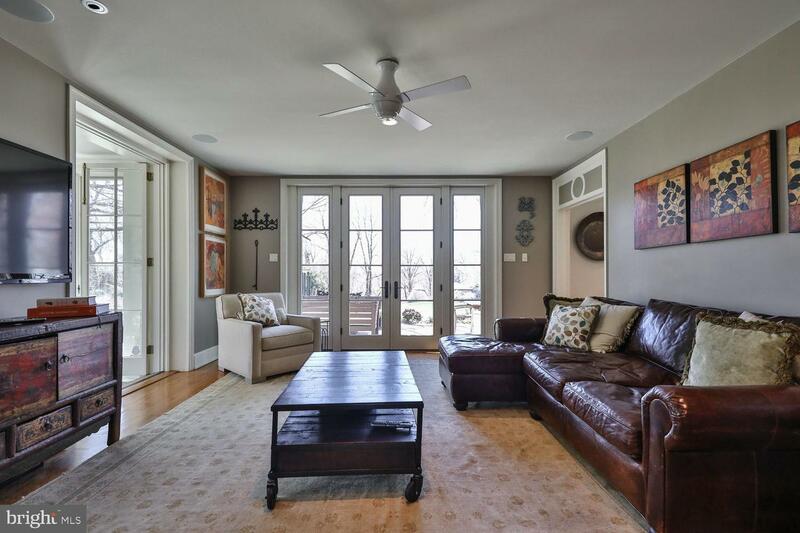 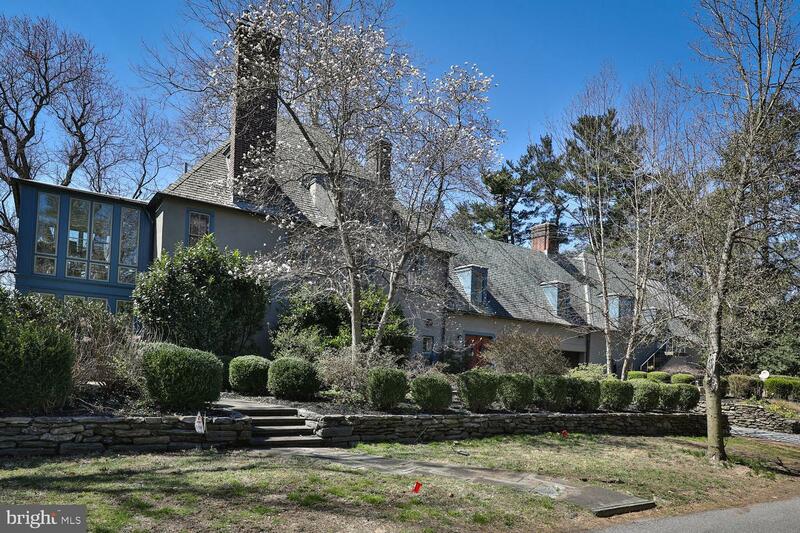 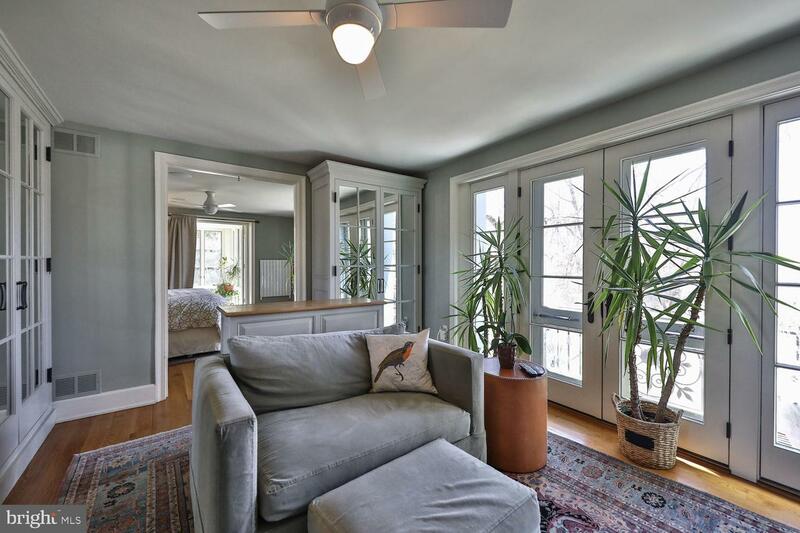 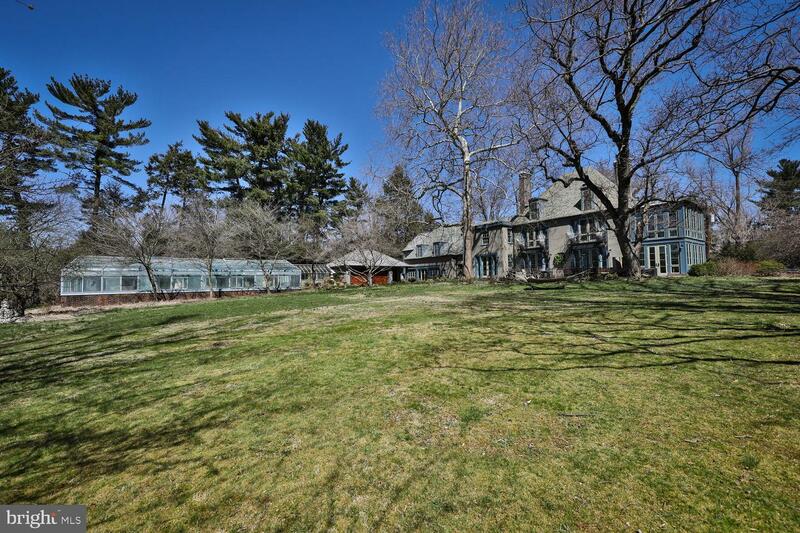 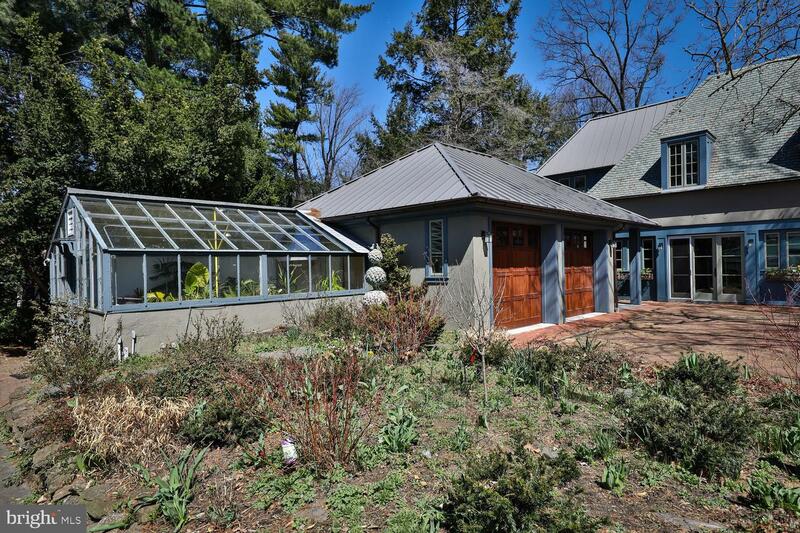 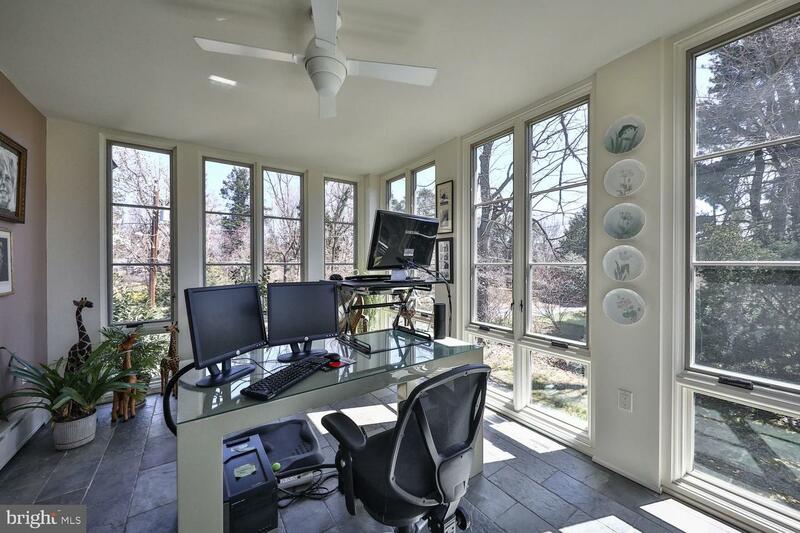 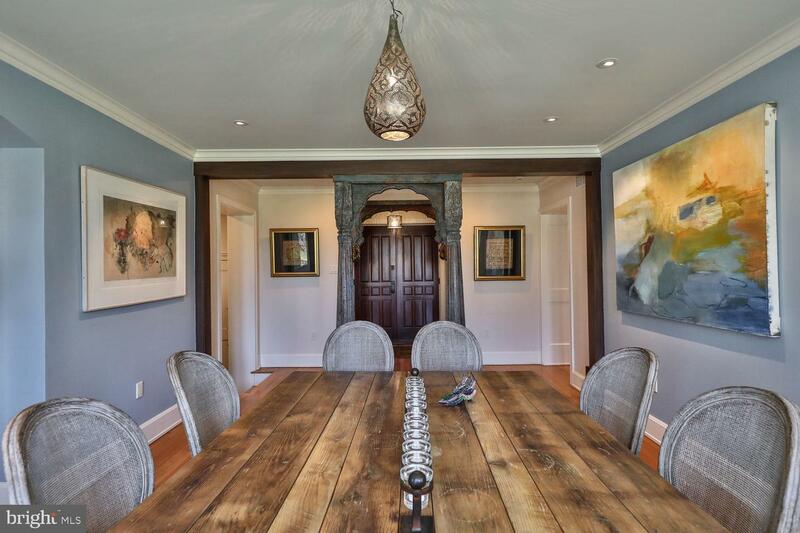 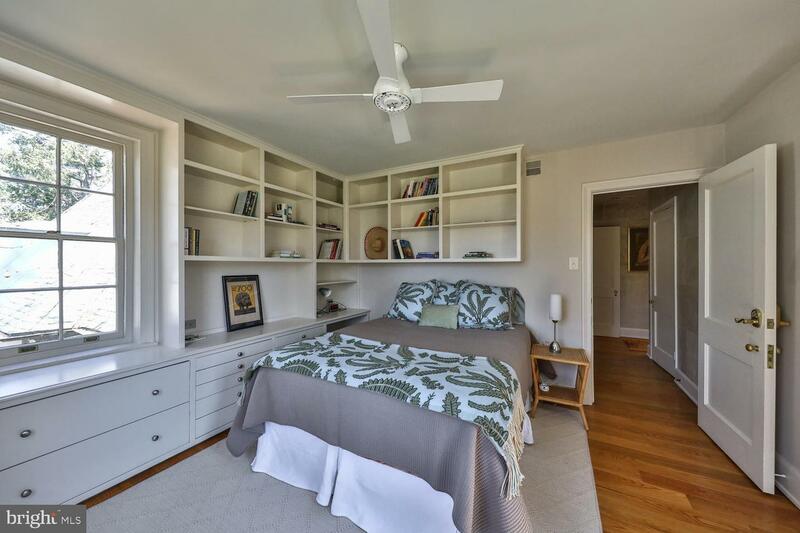 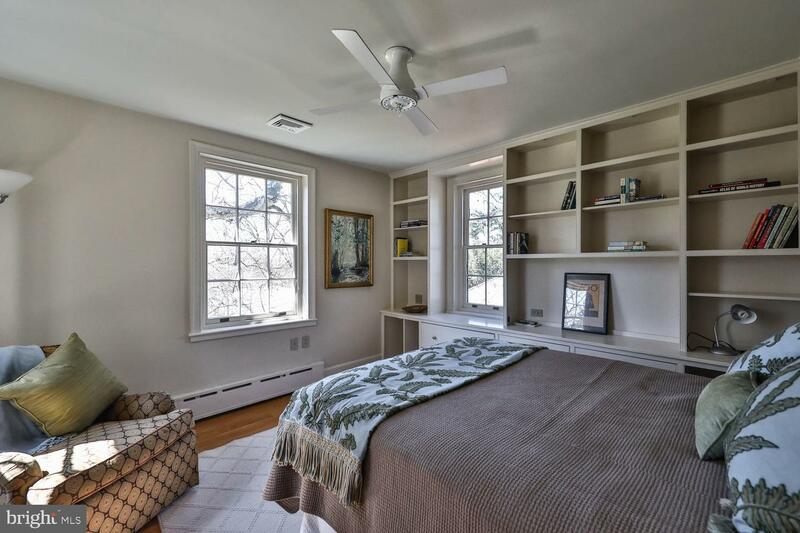 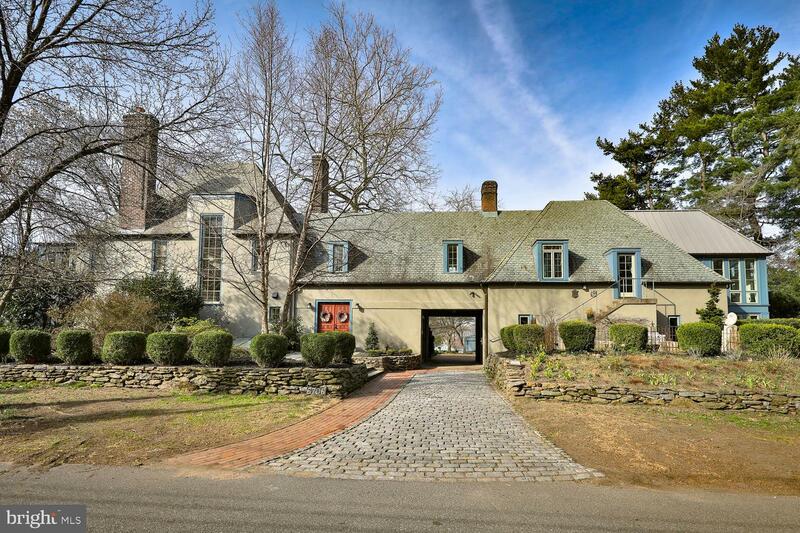 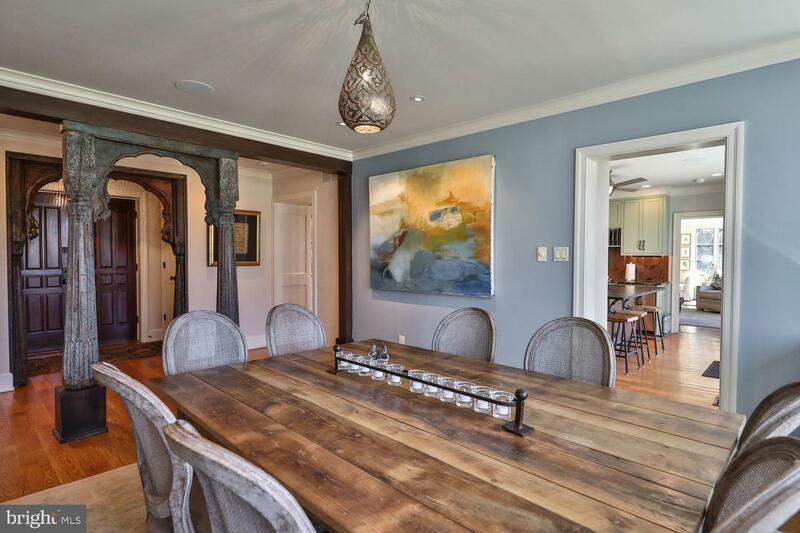 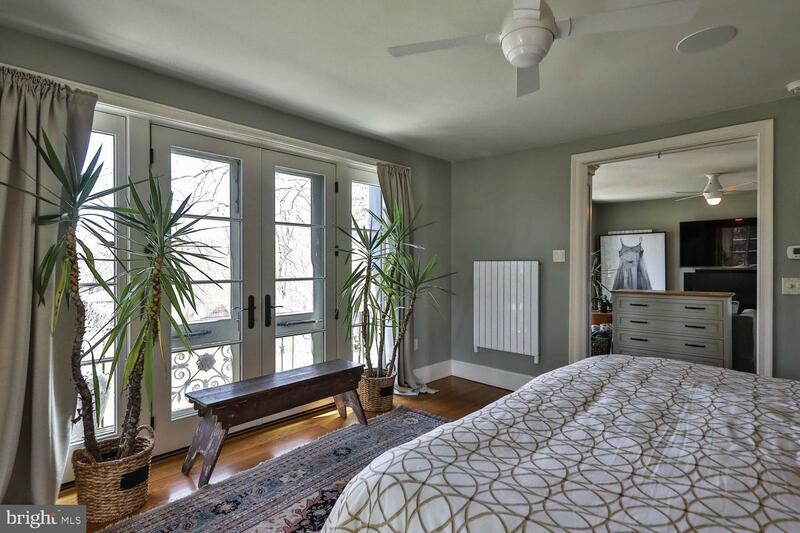 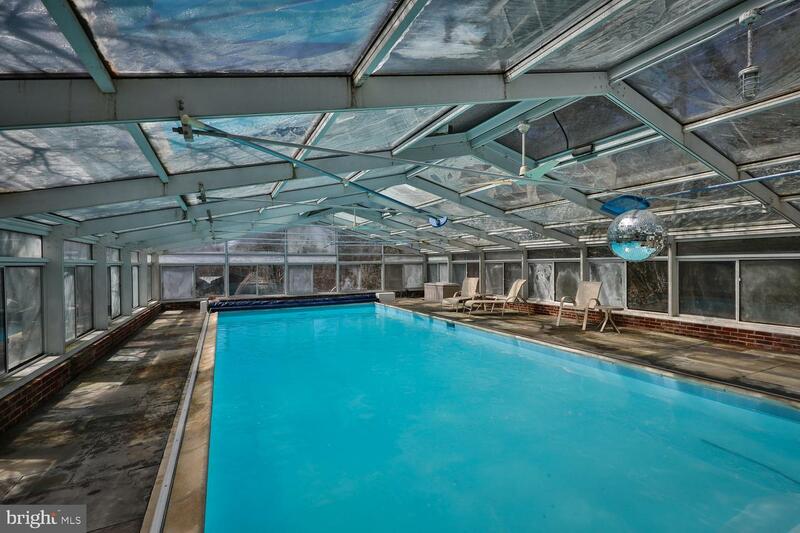 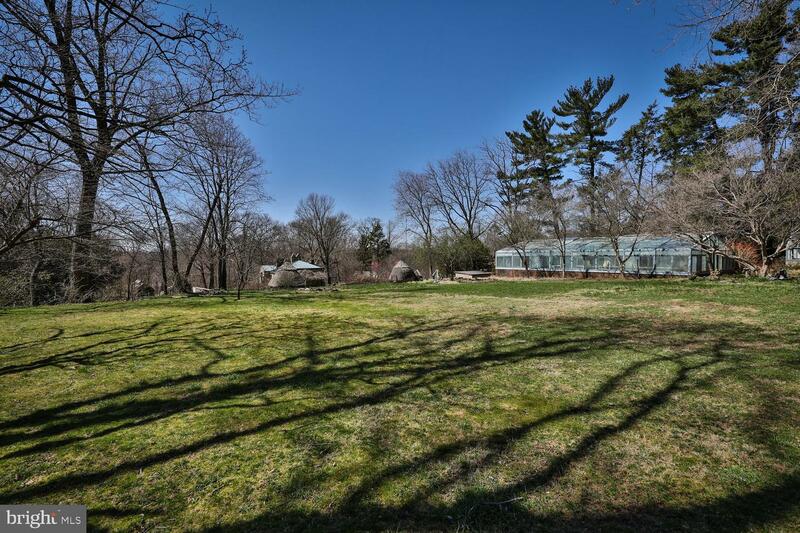 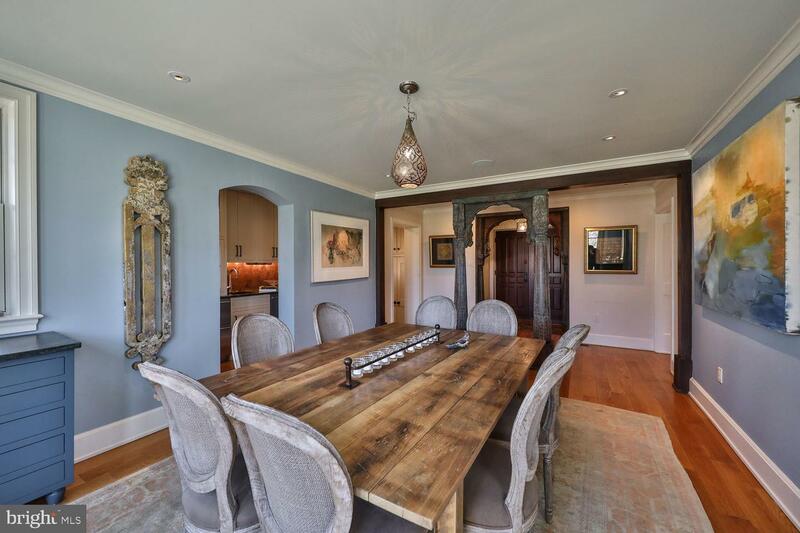 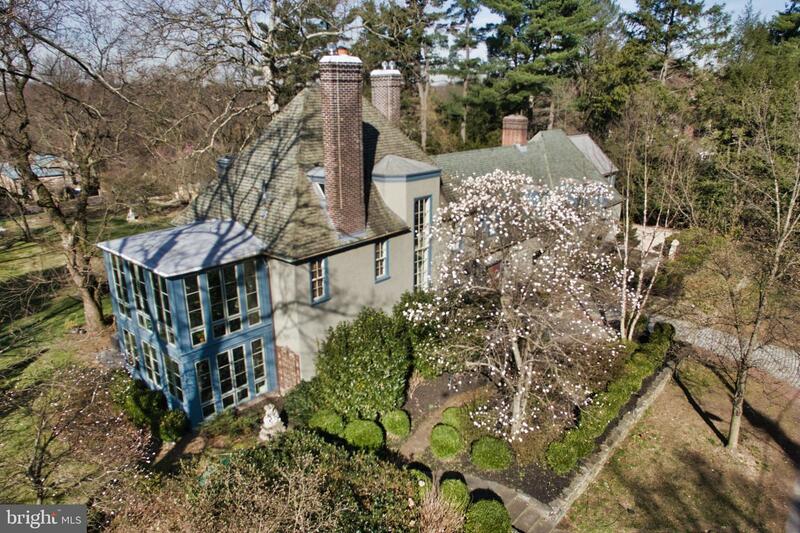 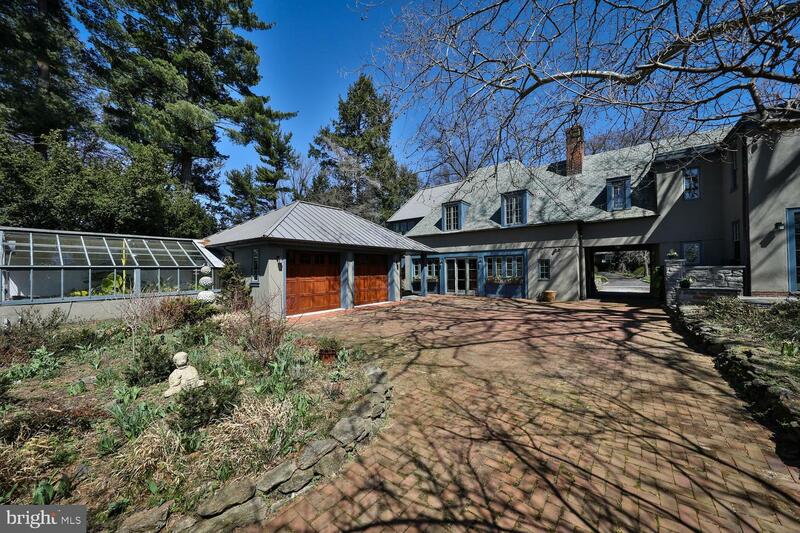 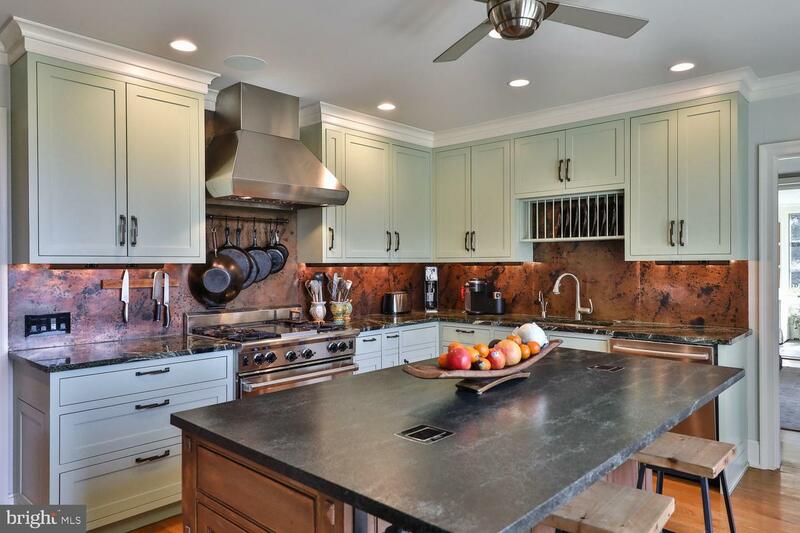 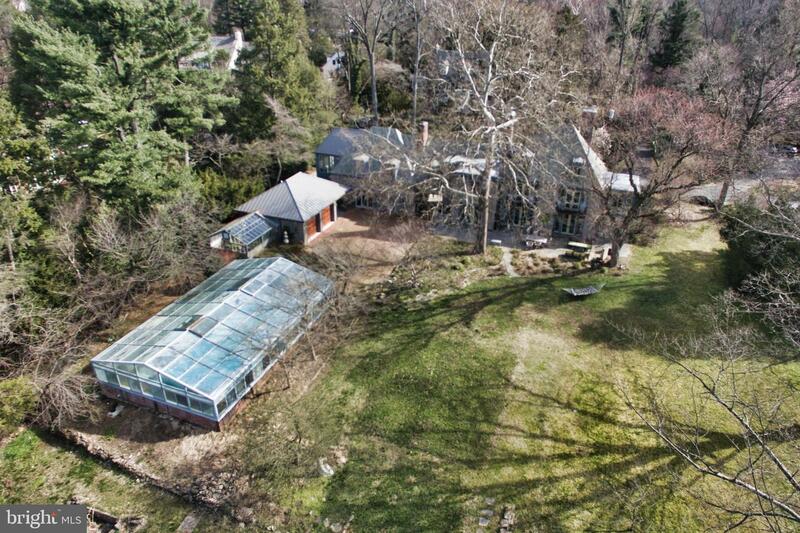 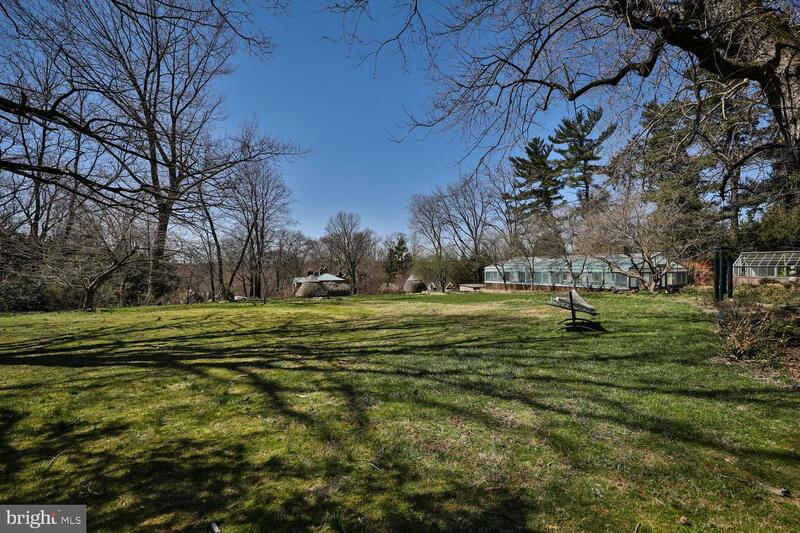 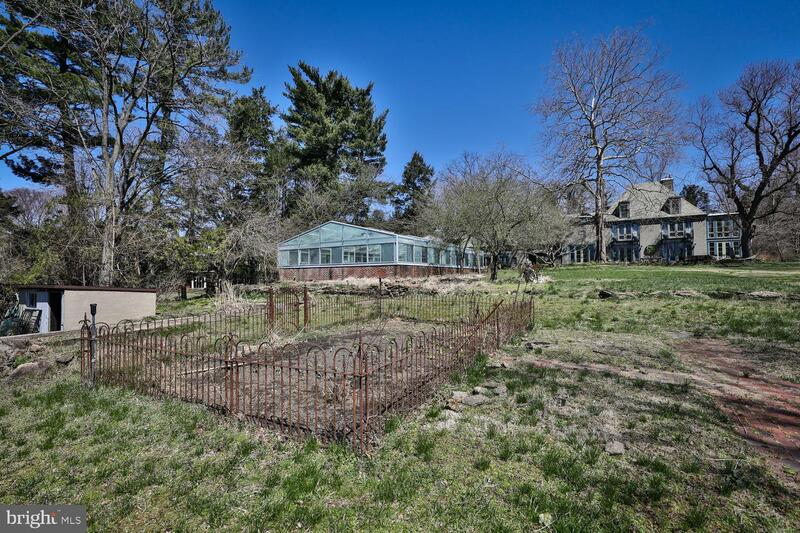 Sited on a quiet street tucked into Fairmount Park, this elegant property sits on over an acre of land with over-sized separate two-car, swimming pool with glass enclosure, greenhouse, garden shed, and specimen plantings and trees. 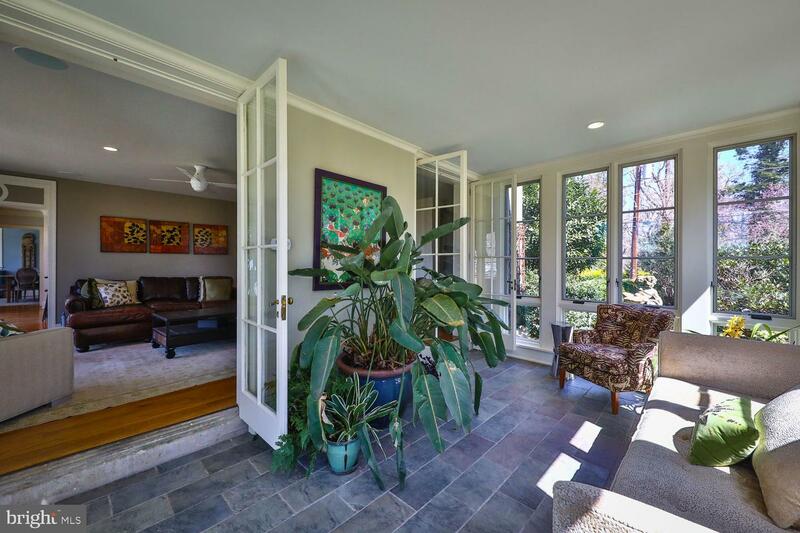 The interior of the house communicates with the outside through a series of French doors off every major room on the first floor. 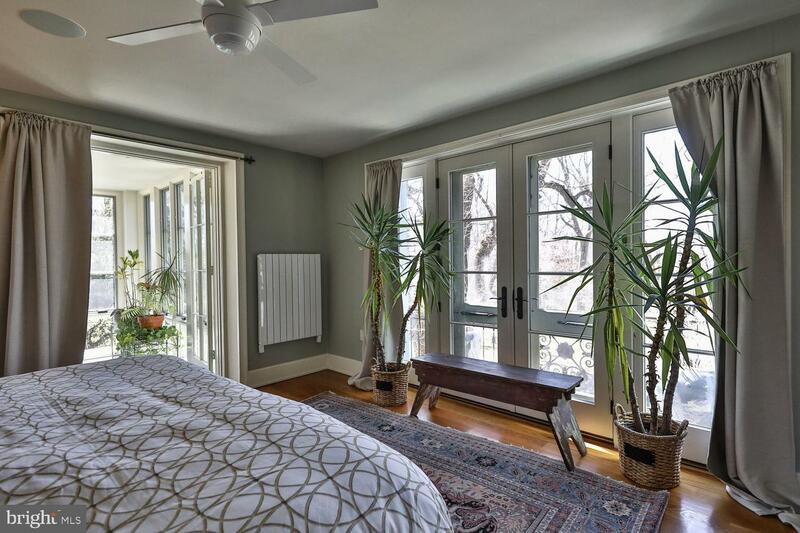 The house is essentially one room deep, so light permeates the interior from all sides. 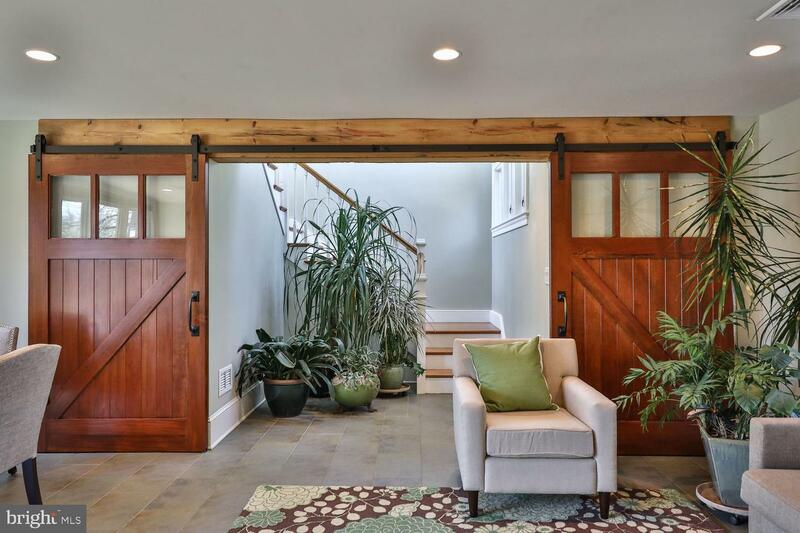 By car, one enters the property through an archway that leads to the garage and an extra storage area to the right. 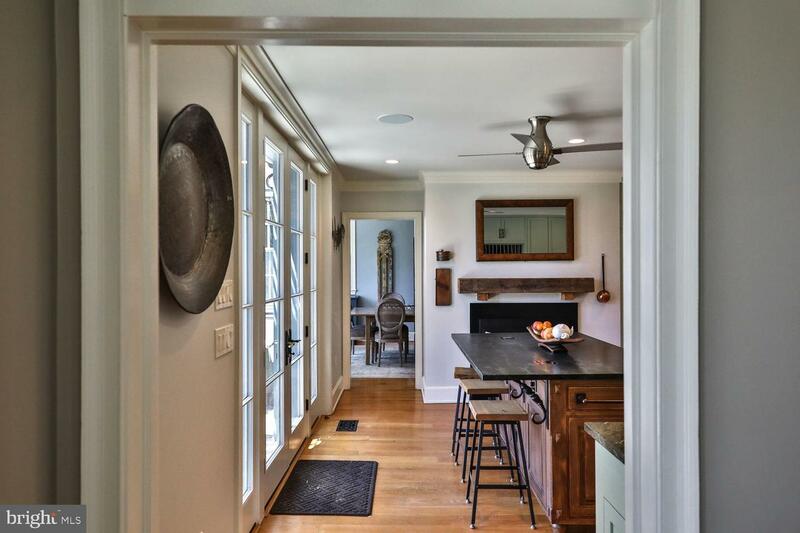 The house is made up of two distinct areas. 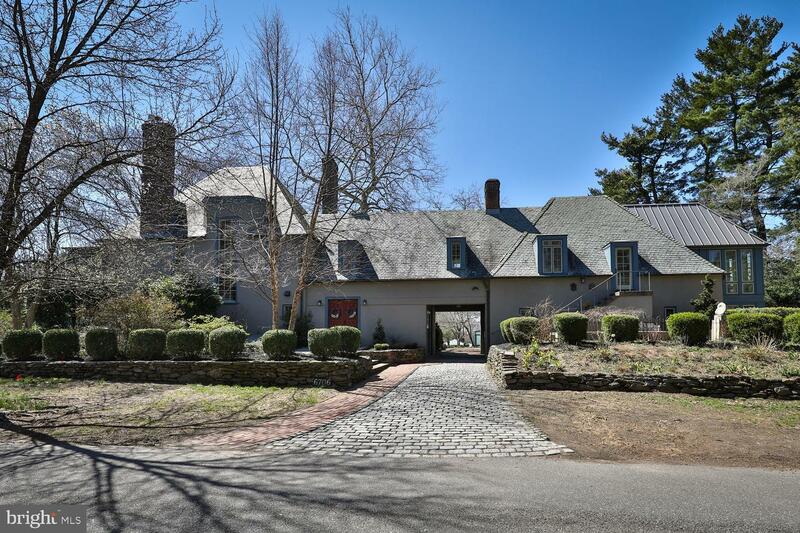 The main house comprises four bedrooms, three full and two half baths; along with living room, dining room, sun room, kitchen, and second floor sun room off the master. 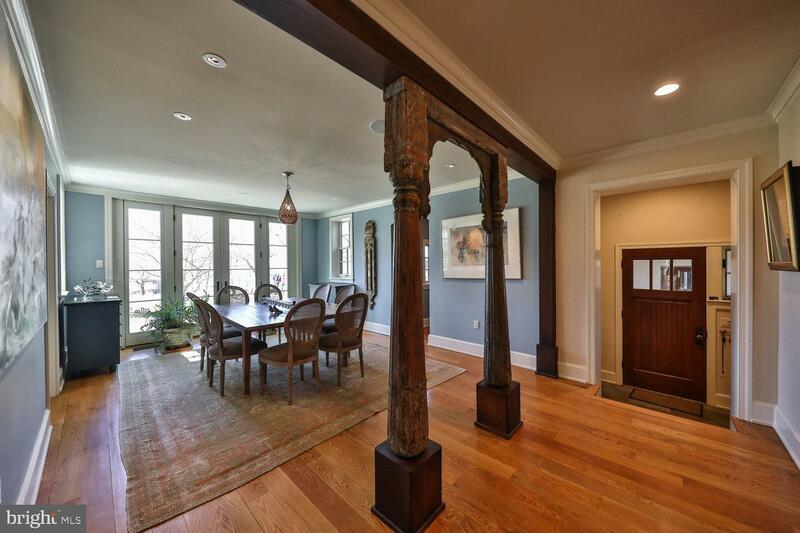 The newer addition on the right side of the archway is flexible space. 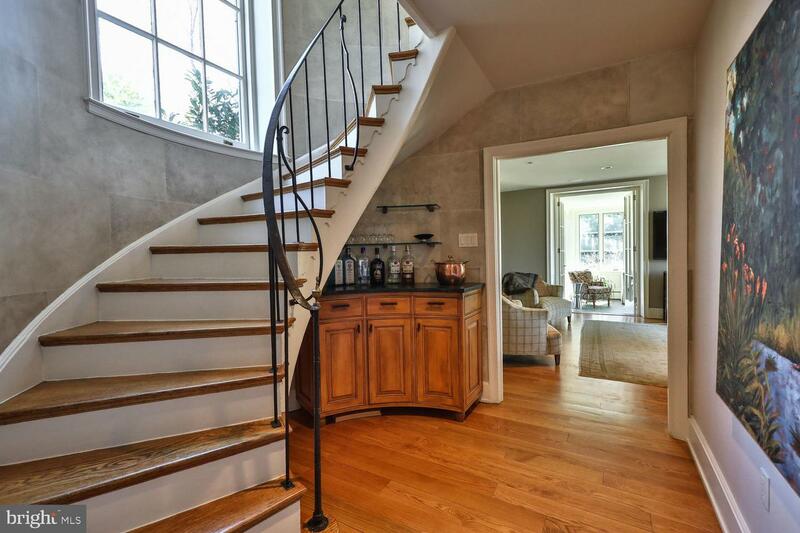 Two large rooms adjoined by brilliant, light-filled staircase are completed with a full kitchen and steam-shower bathroom. 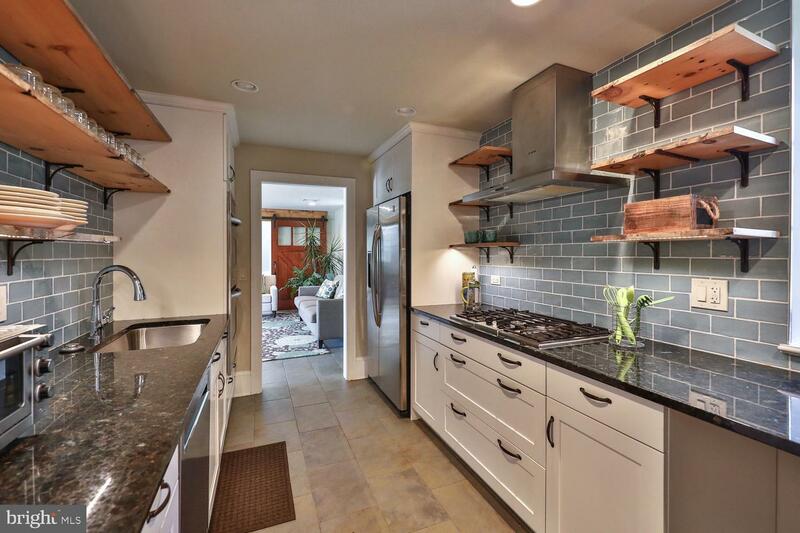 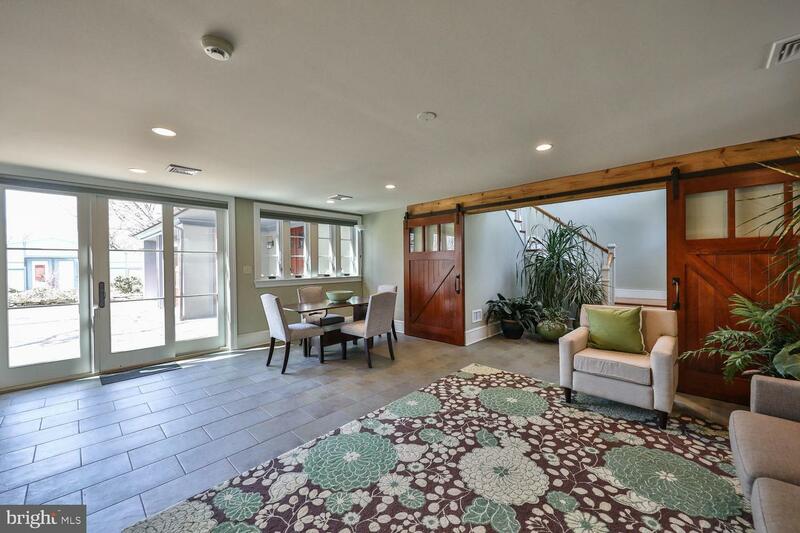 The first floor, with tiled floor and radiant heat is currently used as party space with its easy access to the outside through French doors, and its complete galley kitchen. 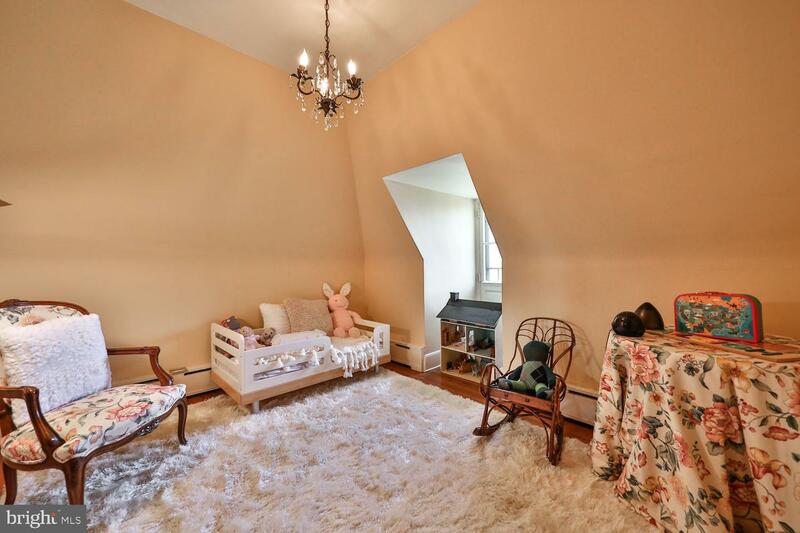 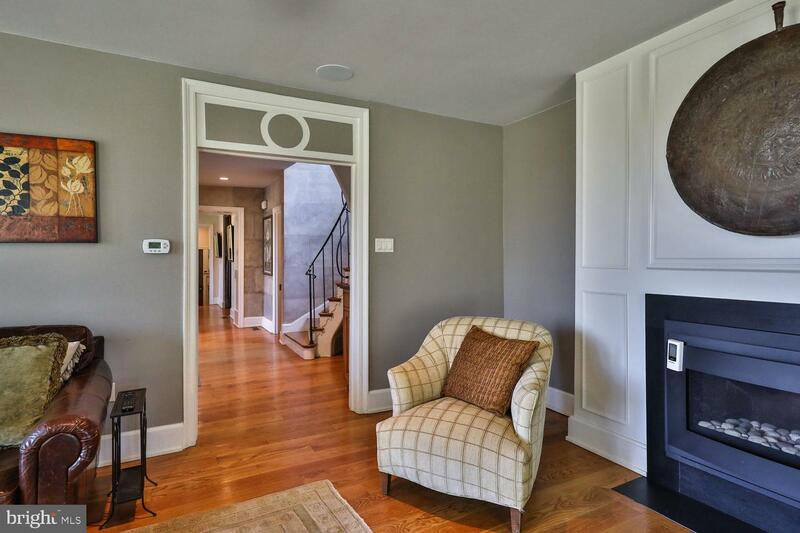 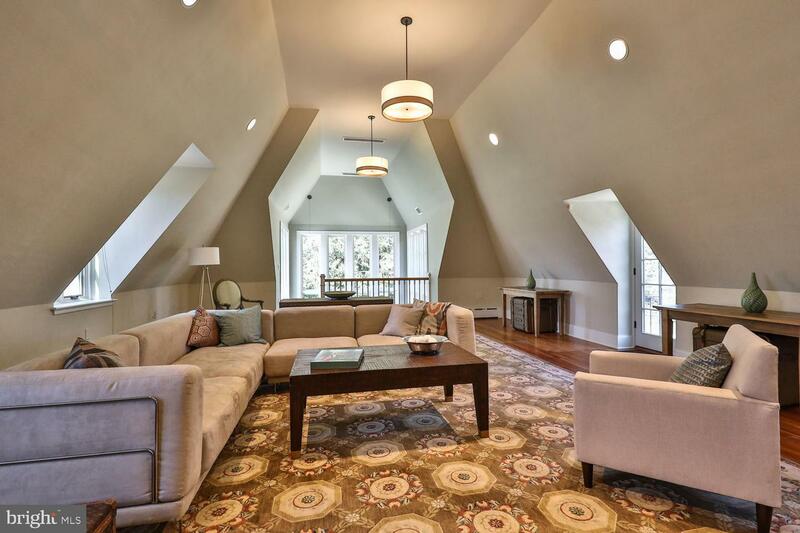 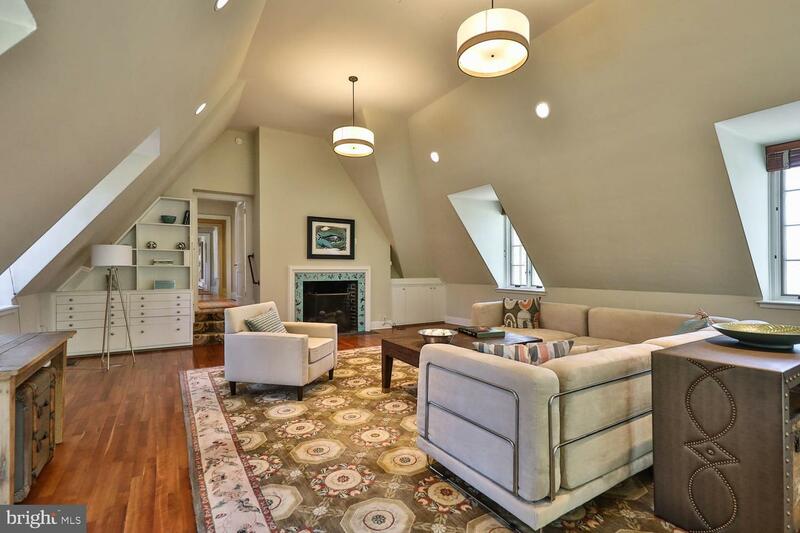 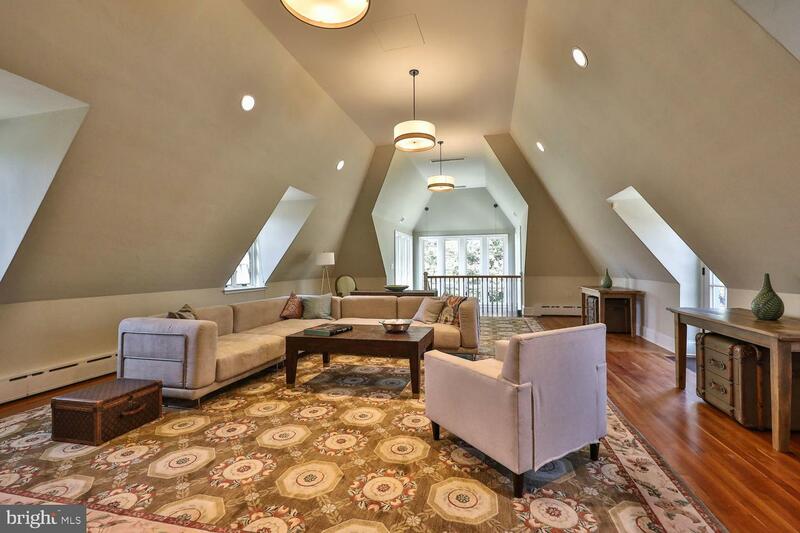 The second floor space with beautiful fireplace serves as a large, comfortable family room with warm hardwood floors and windows on three sides. 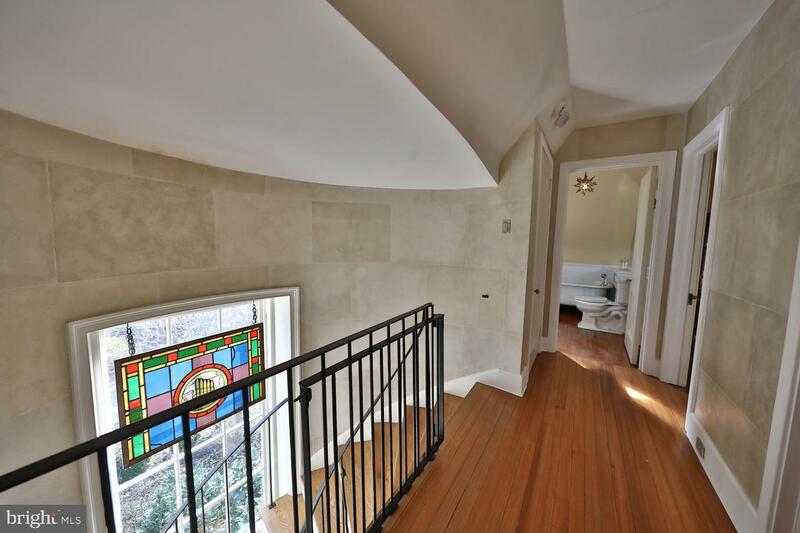 This space can be accessed from the second floor of the main house via the second floor hallway. 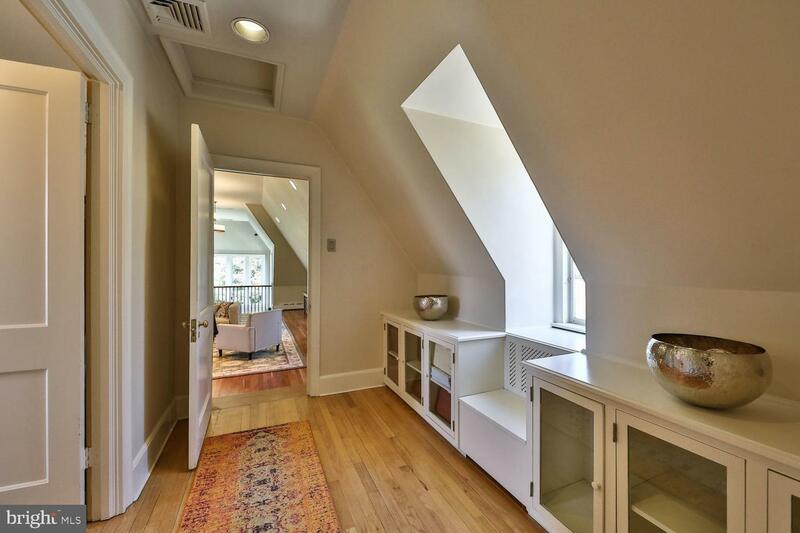 Thoughtfully designed by Krieger Architects, the addition includes space to accommodate an elevator (not installed). 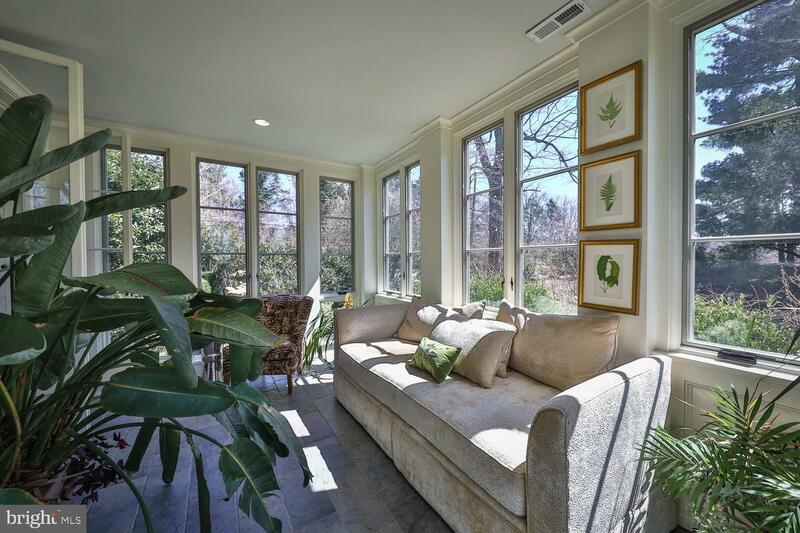 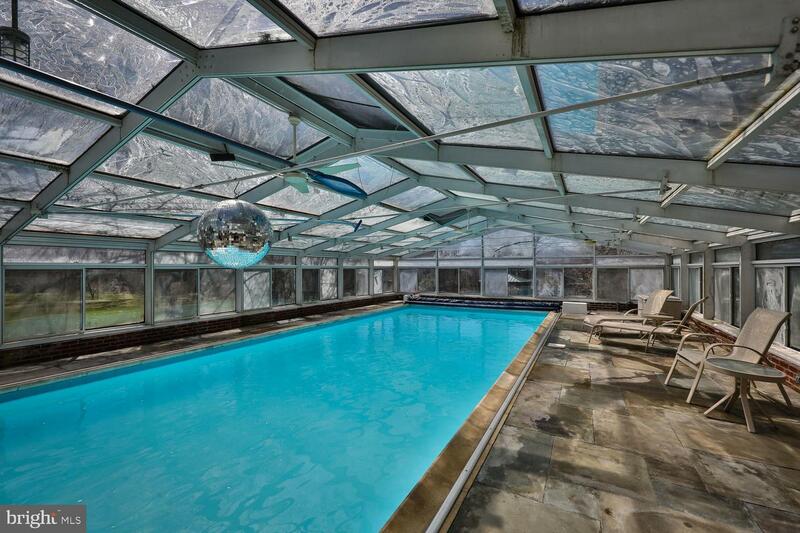 This is a house for the sophisticated buyer. 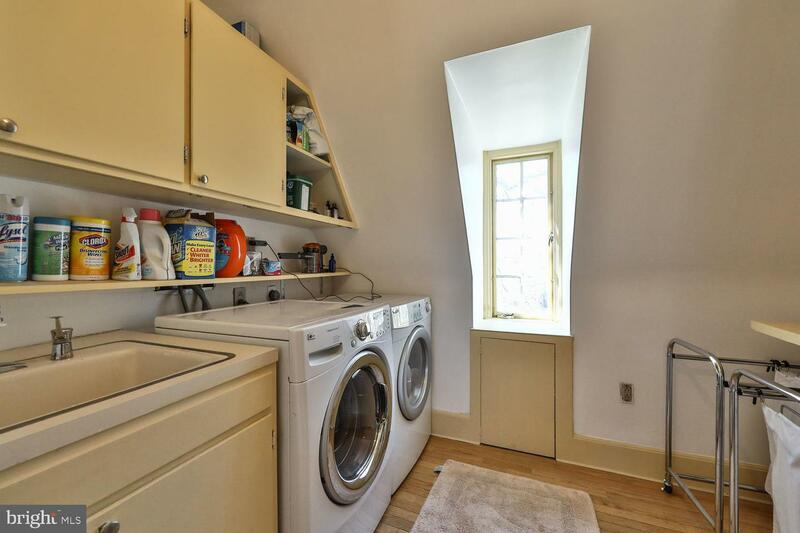 Nothing stuffy or dated, just warm and welcoming environs. 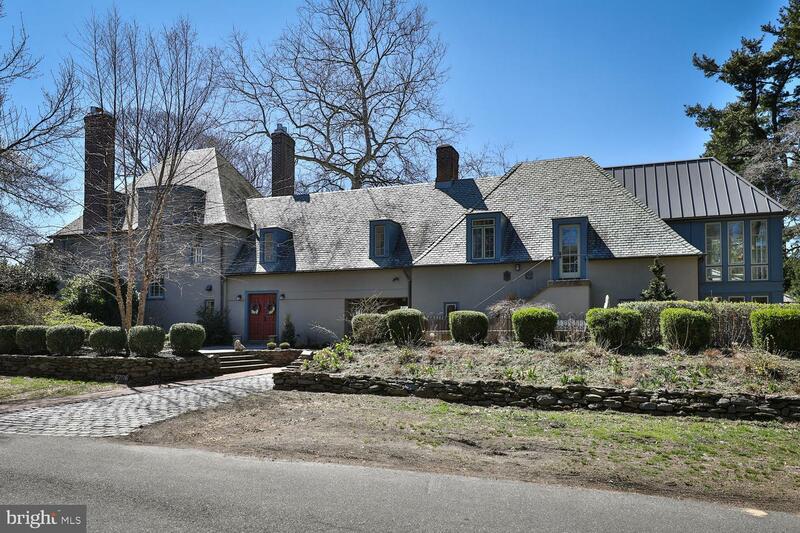 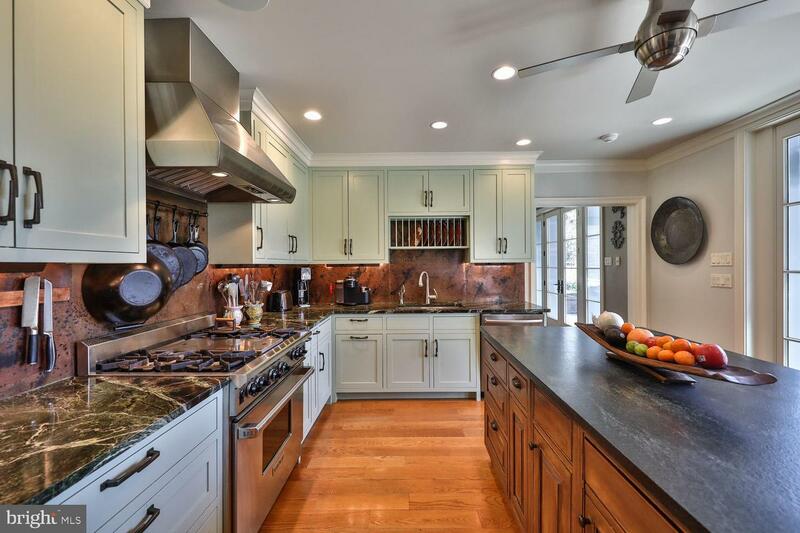 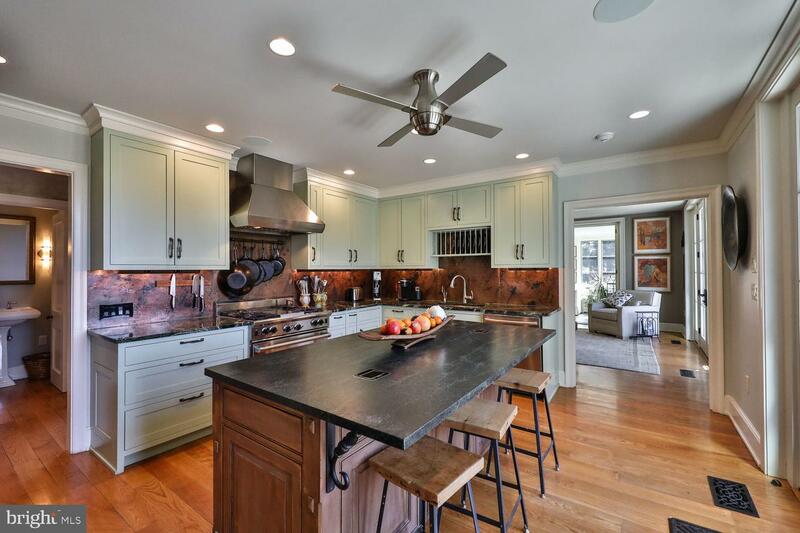 Nothing has been overlooked, from the five fireplaces (including ones in the kitchen and master bath), to the new doors and windows, to the expansive flagstone patio, to the Belgian block driveway, and all the luxuries one fully expects from a home of this caliber. 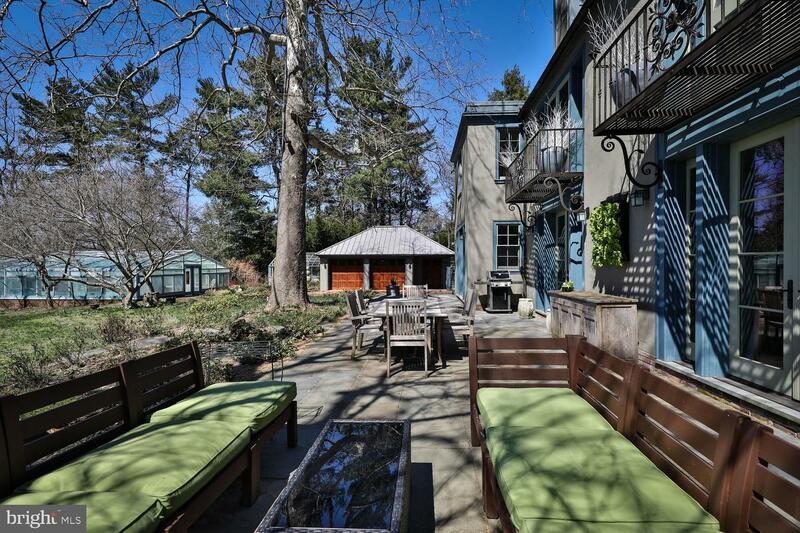 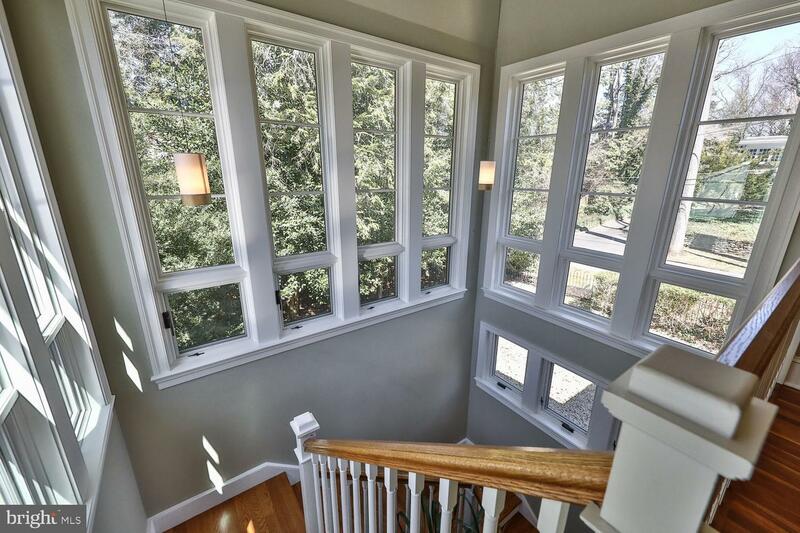 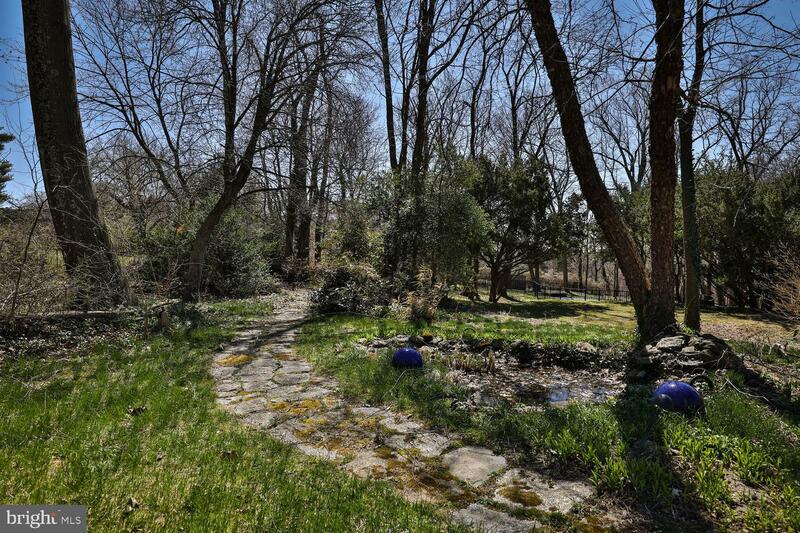 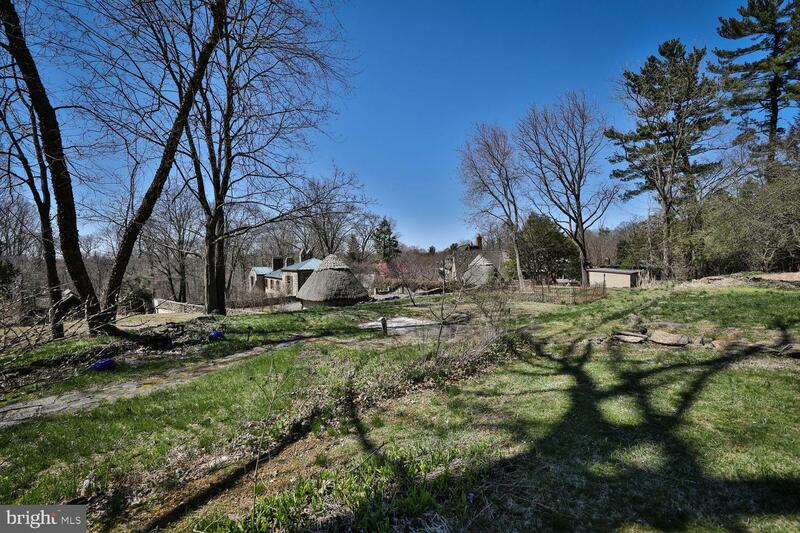 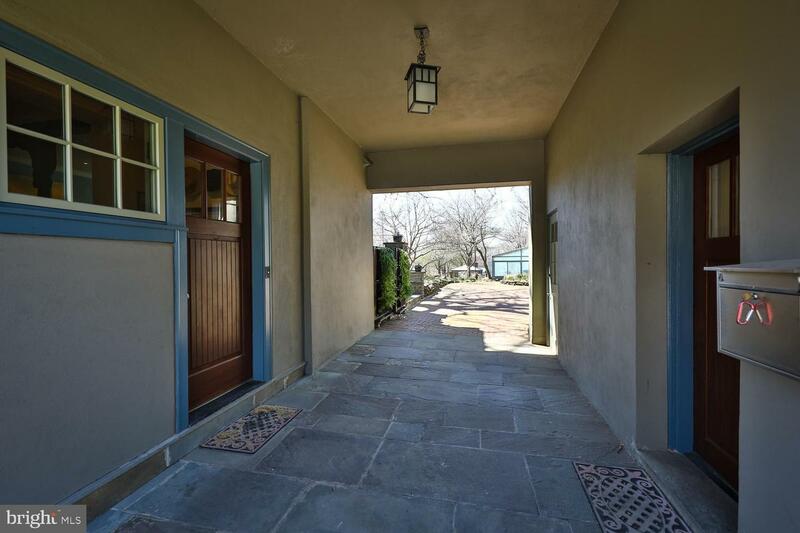 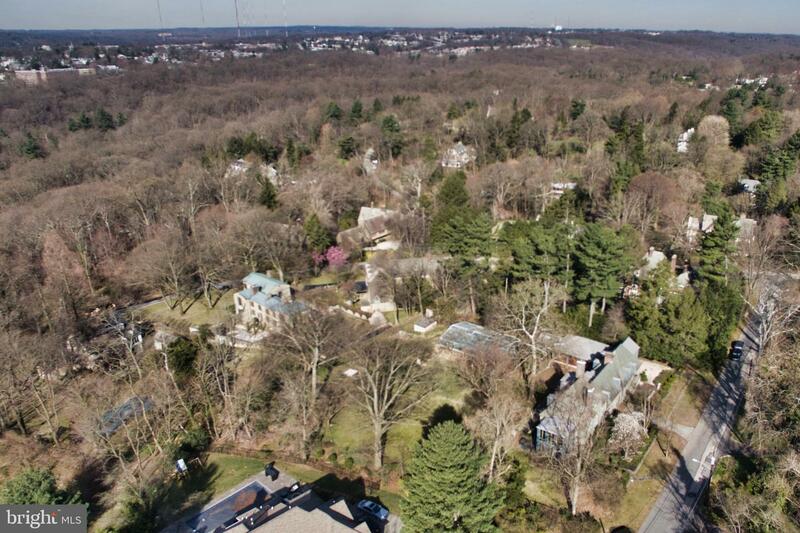 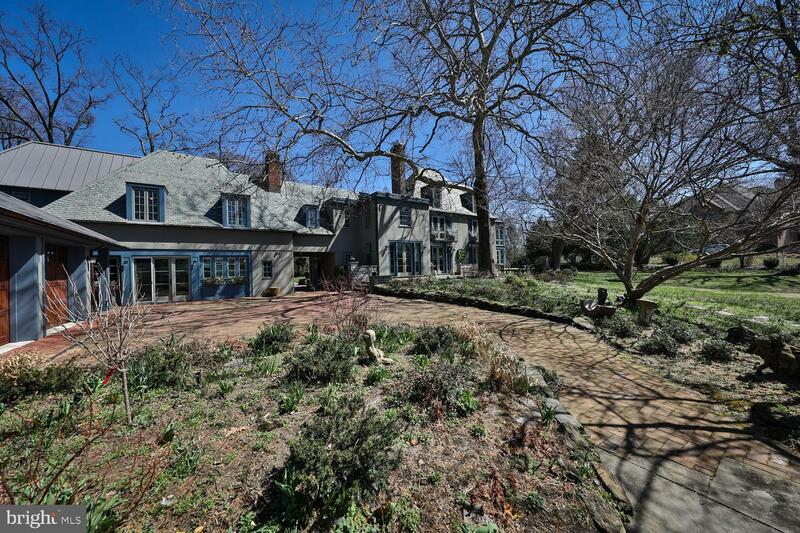 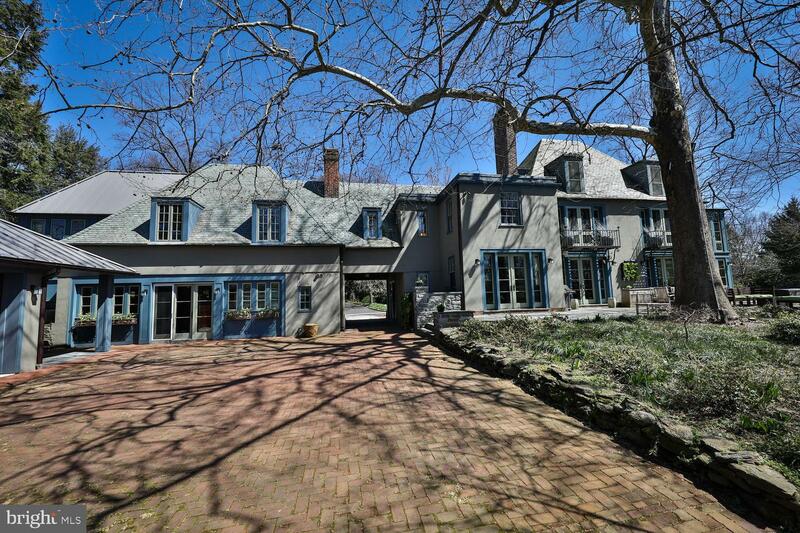 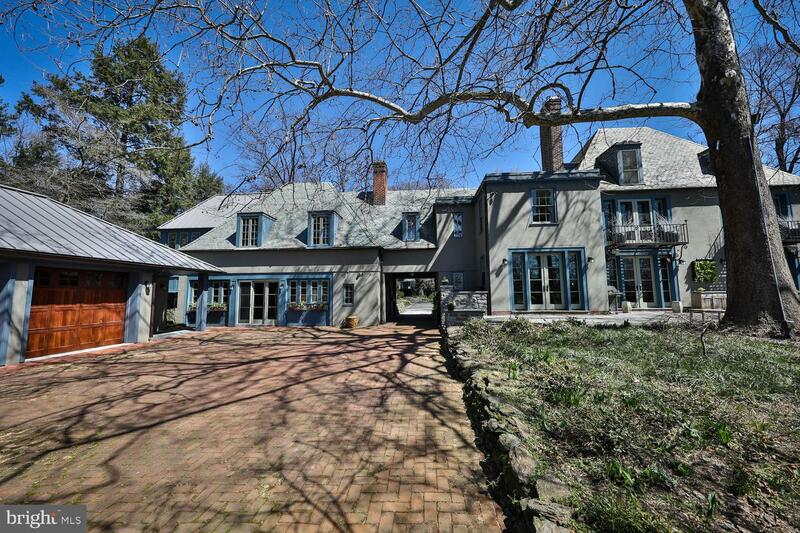 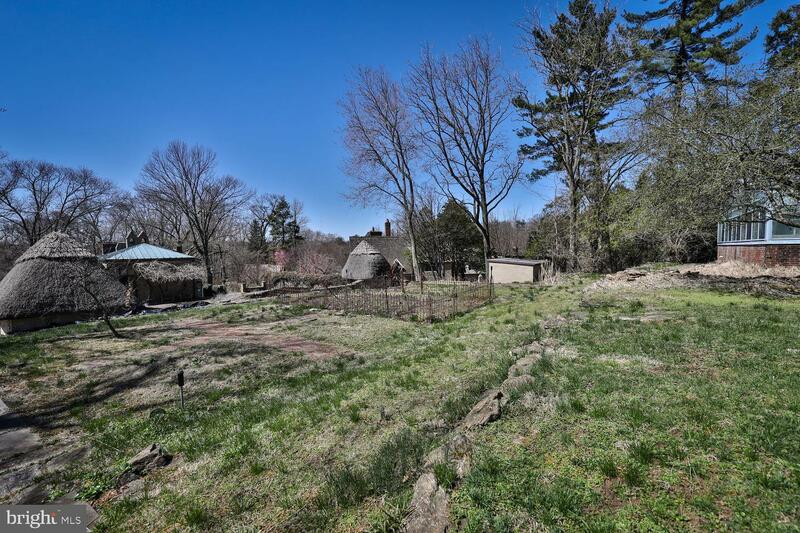 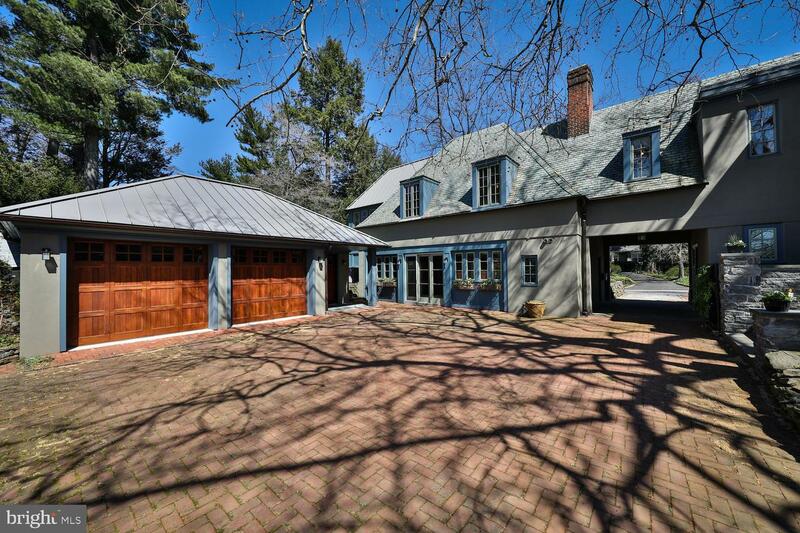 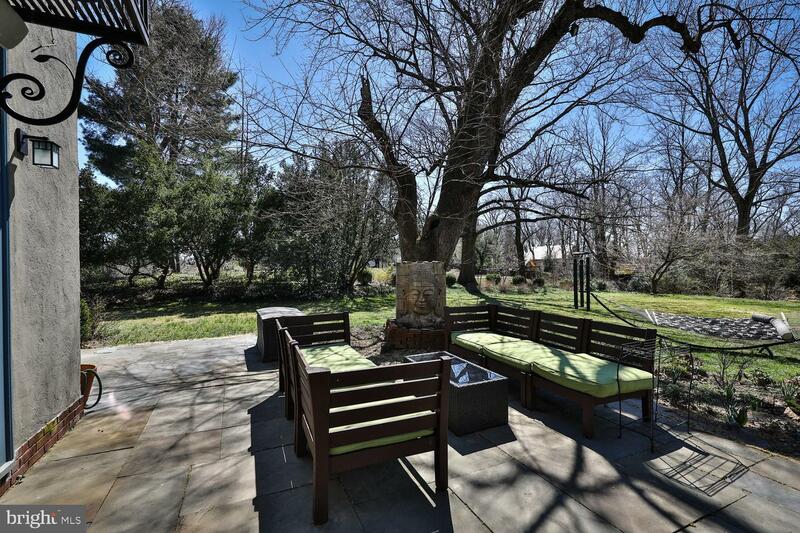 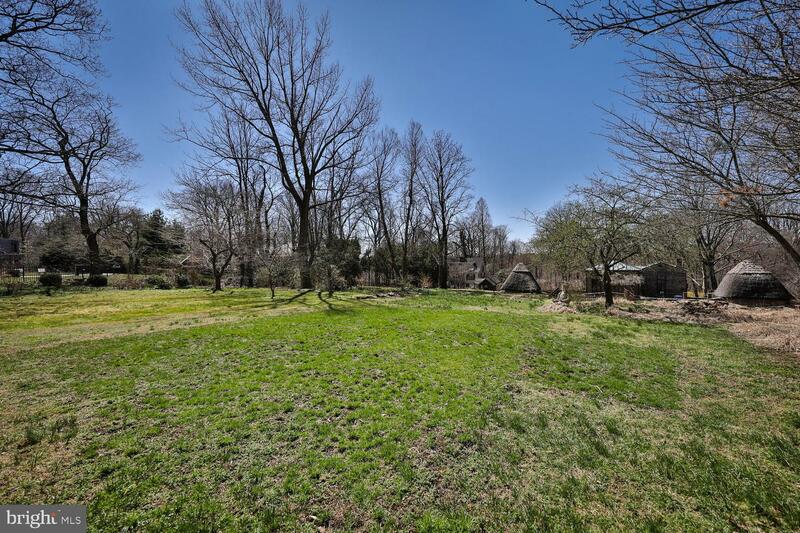 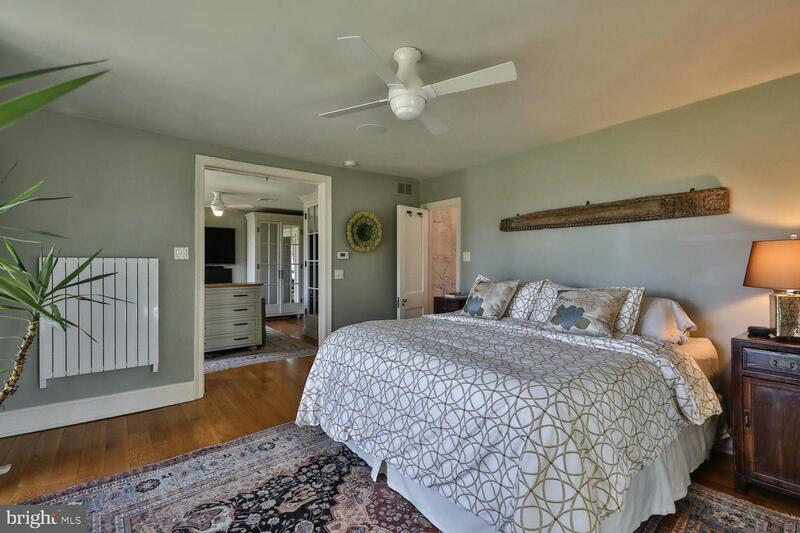 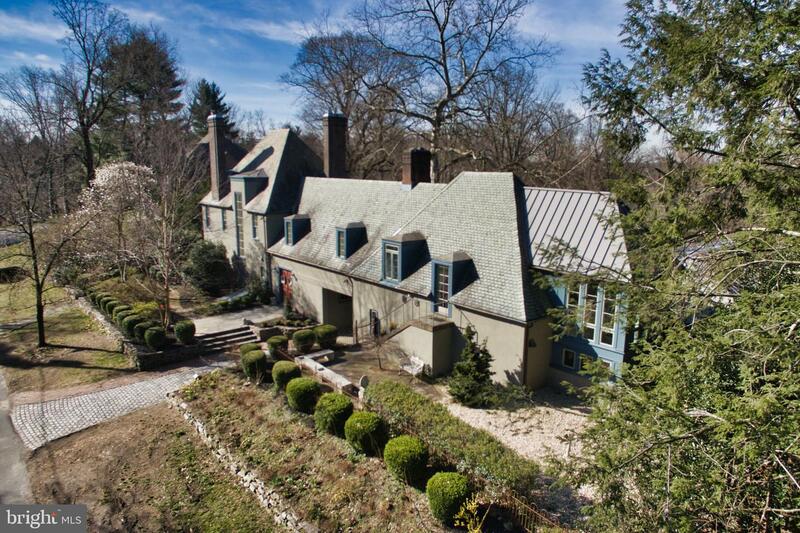 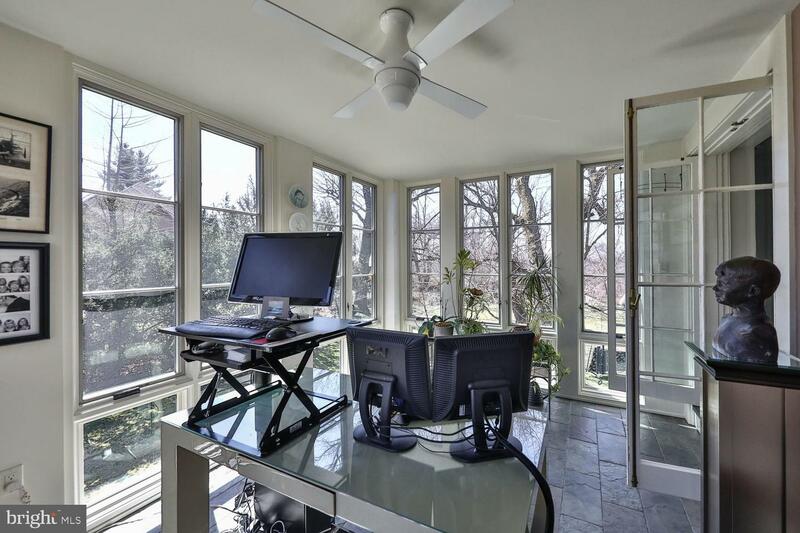 Walk to the trails of the Wissahickon Valley, or simply wander your own landscape; this property offers all the the wonders of nature in the Delaware Valley. 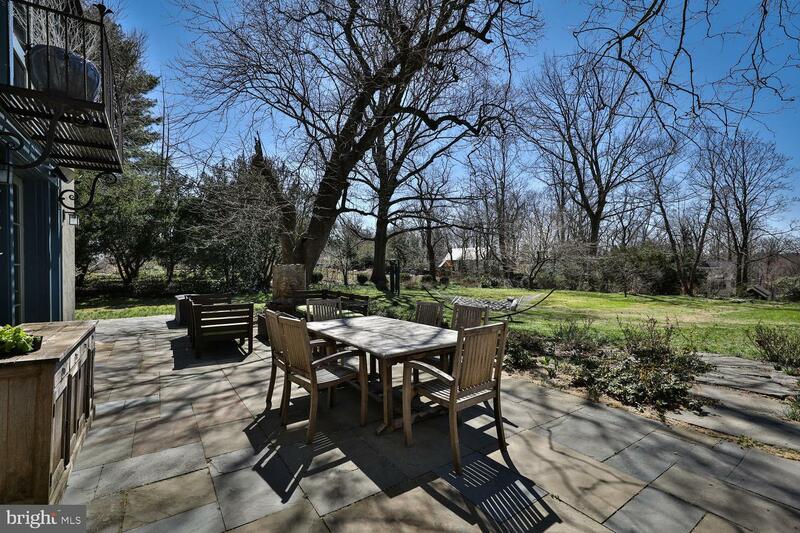 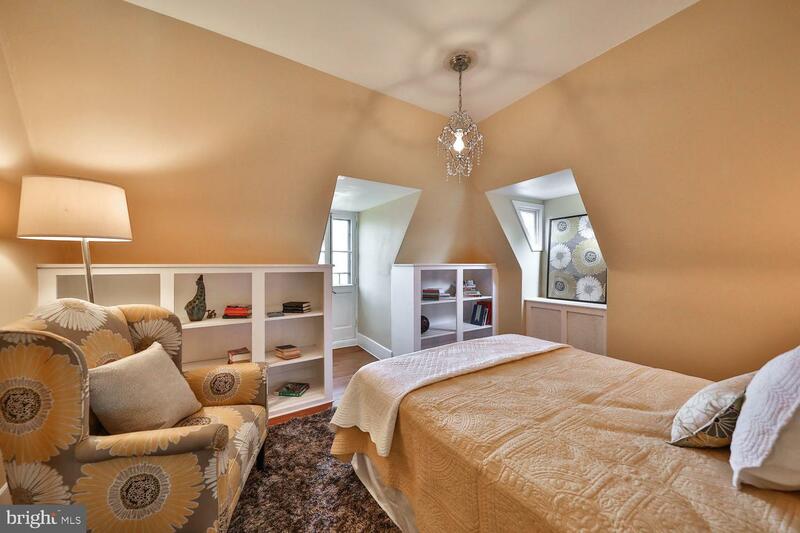 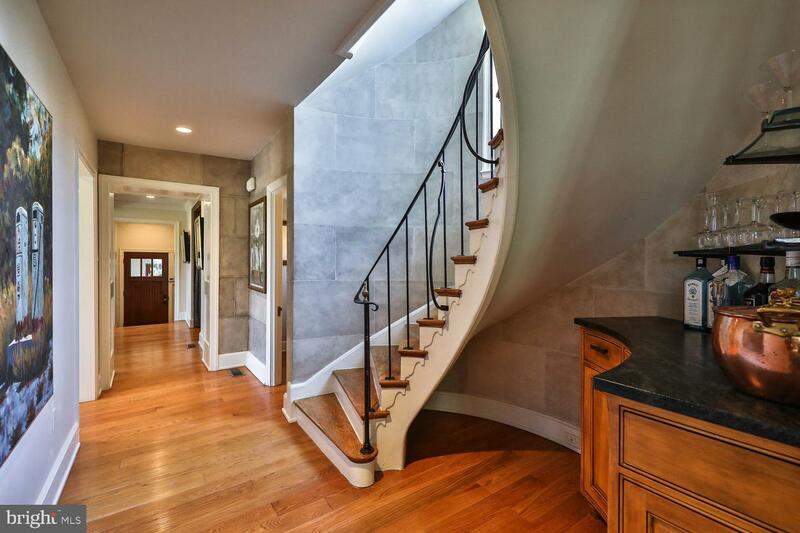 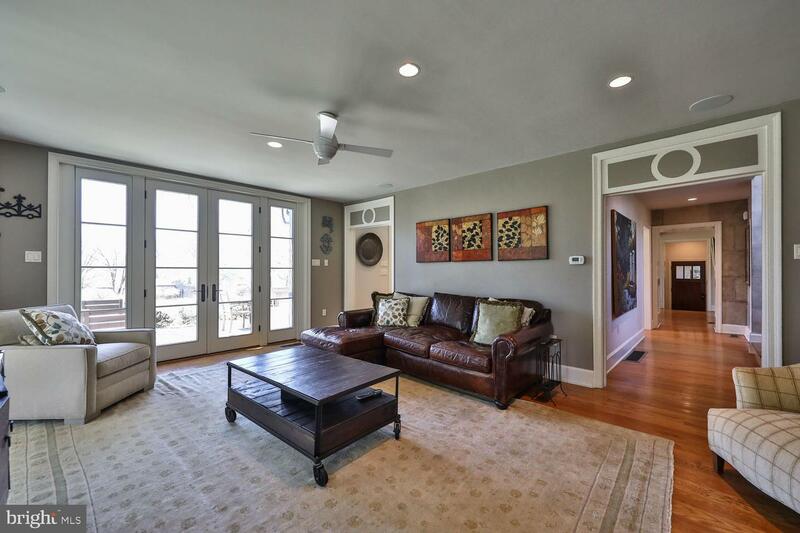 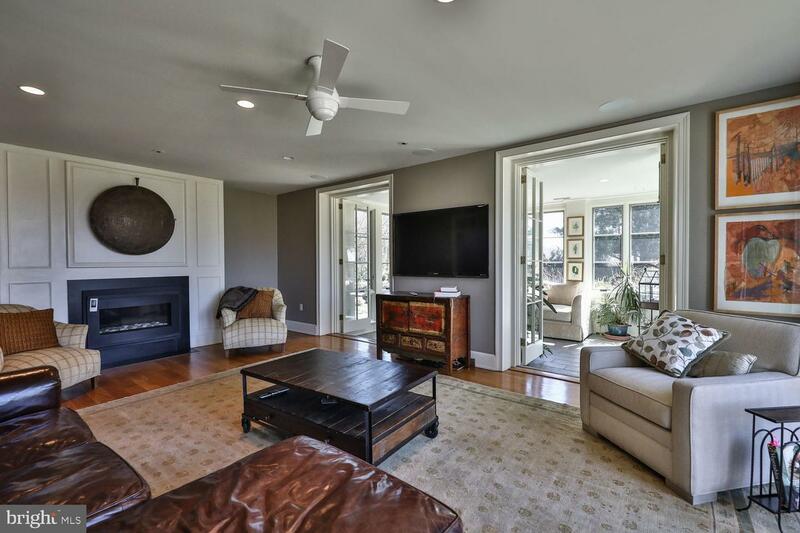 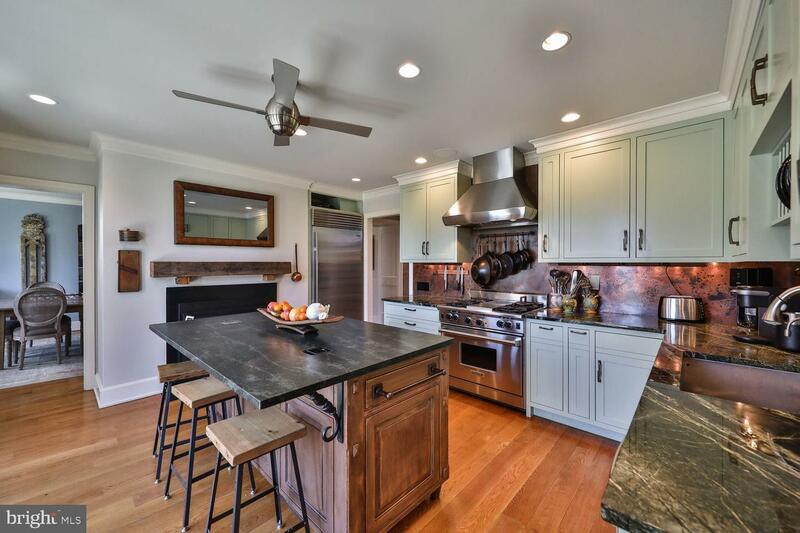 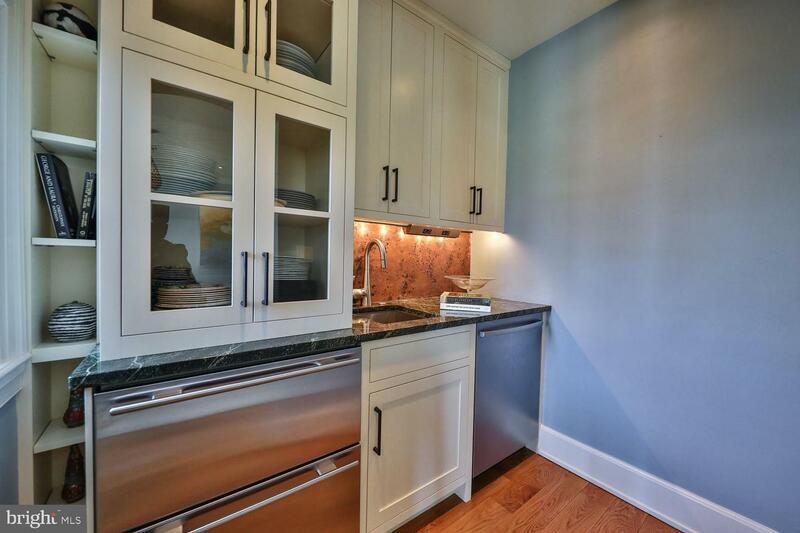 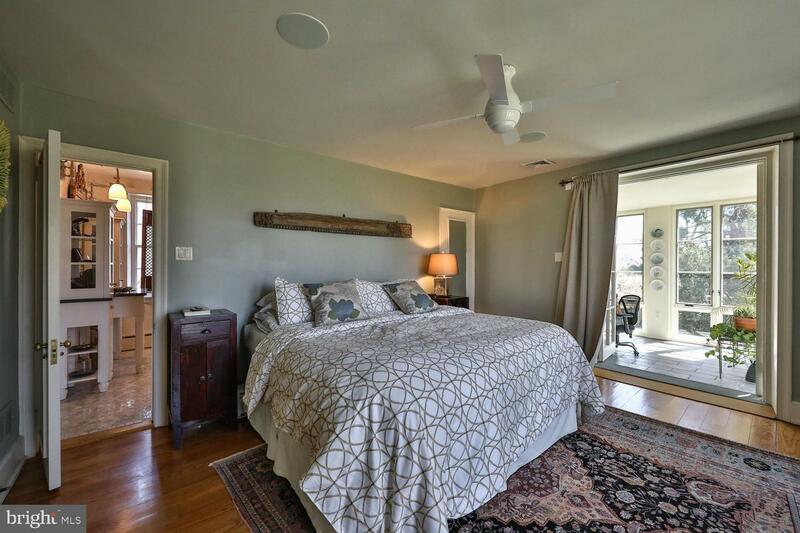 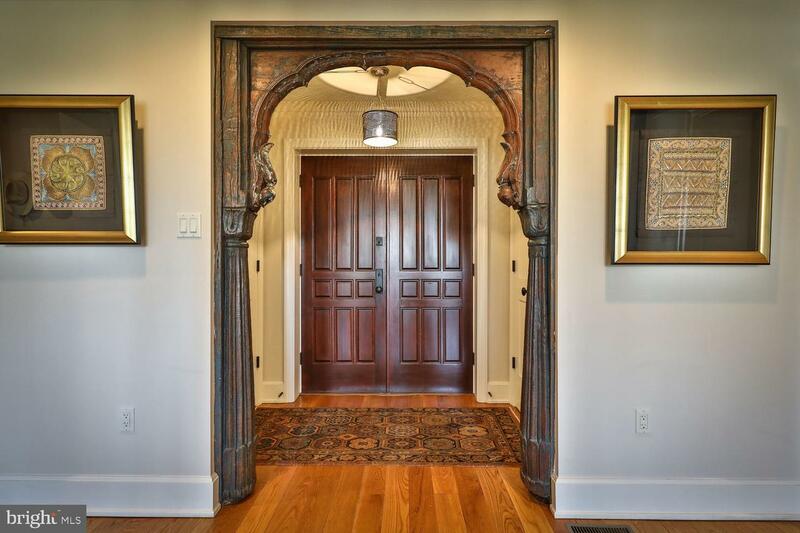 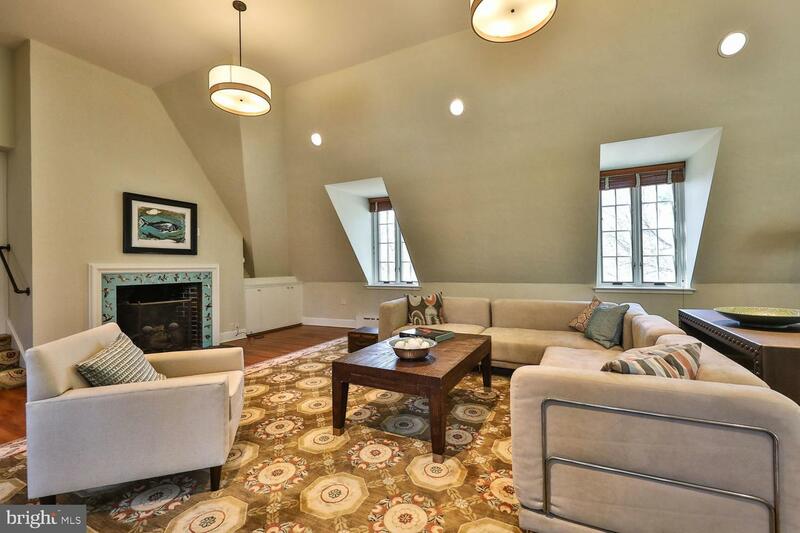 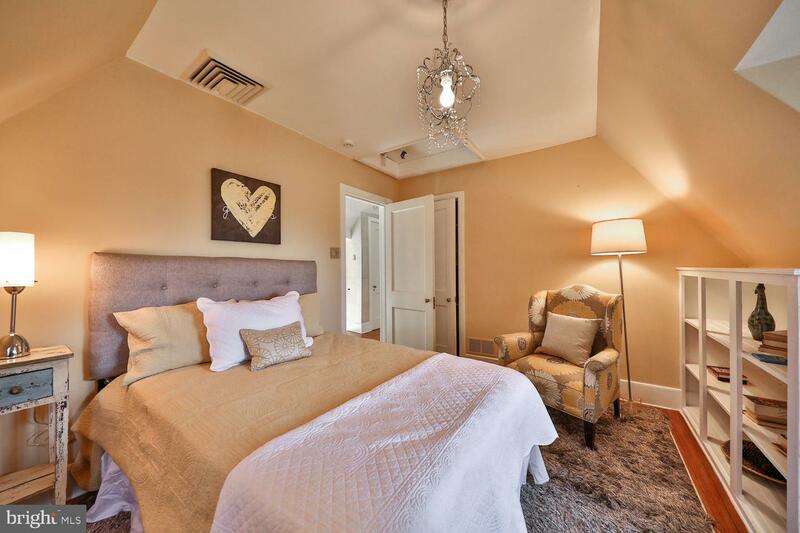 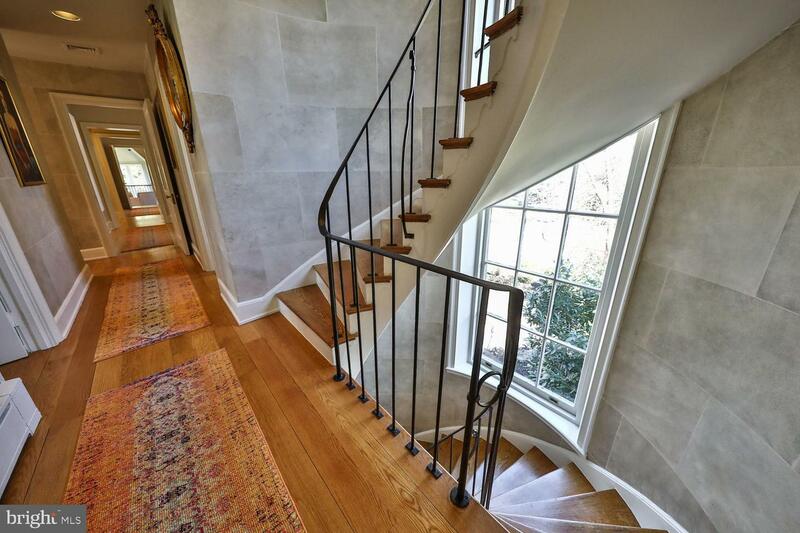 You are a short drive to Chestnut Hill, regional rail lines, and the heart of Center City. 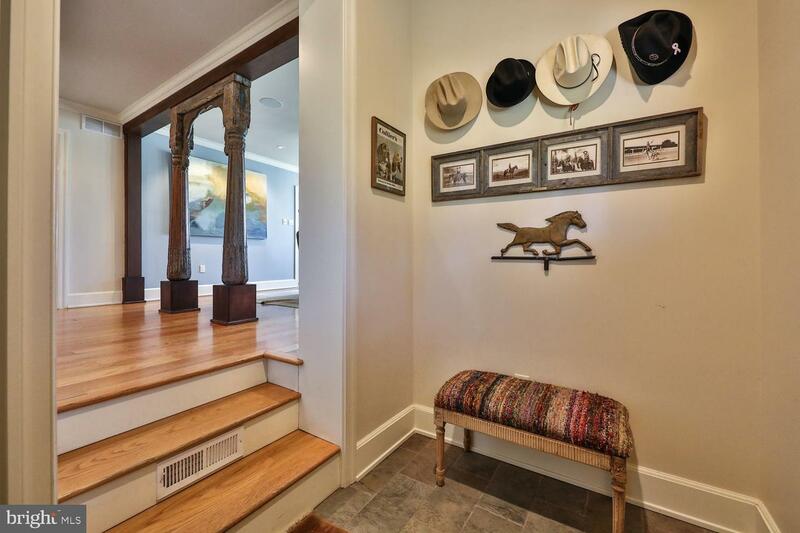 Each and everyday, you will be proud to call this home.